Vintage, copyright free swan images from a variety of old books, magazines and other print materials. 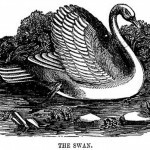 All of our swan pictures are ready for downloading and to be used in your scrapbook pages, mixed media artwork, web pages and other creative projects. 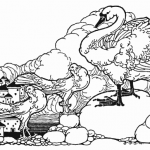 Line drawing of a white swan. 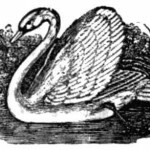 Simple line drawing of a white swan. 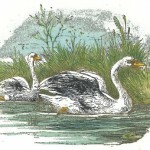 Vintage drawing of a pair of swans floating among the grasses. 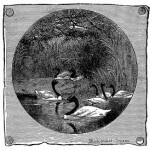 A stately black swan floats among the rushes in this vintage drawing. 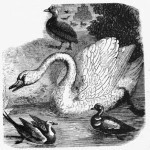 A vintage drawing of a white swan surrounded by a variety of ducks and other birds. 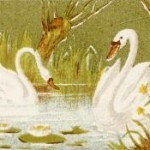 A beautiful colored drawing of a pair of swans. 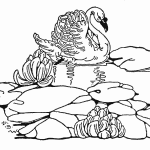 A line drawing of a graceful swan swims among the lilies. A stately swan tells pigeons her story as they look down upon the village below. 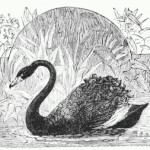 Black and white swan drawing. Another great vintage bird image that looks like a rubber stamp.